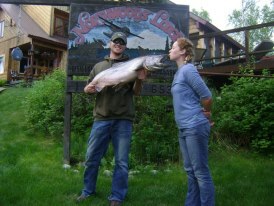 Northwoods Lodge's location is on Fish Lakes Creek (see map below) and is only 3 miles from Lake Creek. 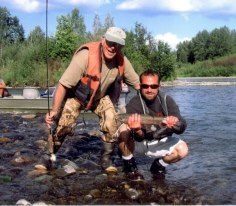 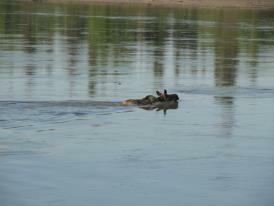 They also fish up to 6 other creeks within boating distance of the lodge. 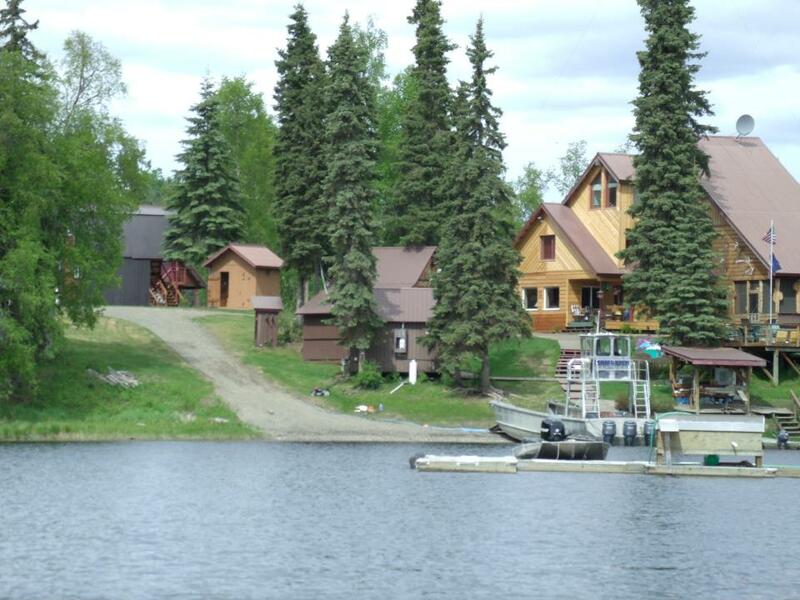 Lake Creek (the largest of the rivers they fish) is 60 miles long running North to South from Chelatna Lake in the Alaska Mountain Range to the Yentna River. 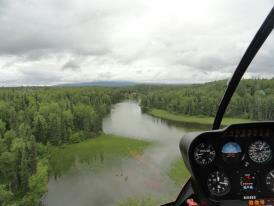 Lake Creek is a dynamic, meandering river with many isolated islands, gravel bars, and backwater areas. 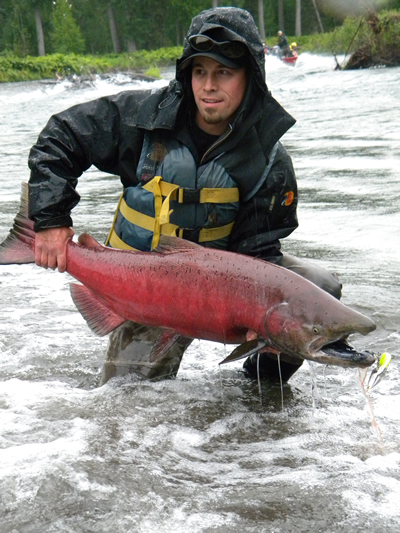 It is easily fished by spin and fly fishermen in a similar way, and is typically done from the river bank, back trolling, or wading out from mid-stream shallow areas. 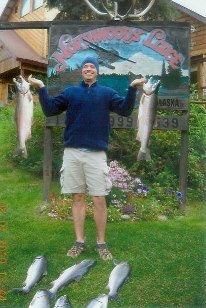 Upon your arrival at Northwoods Lodge, you will be greeted by your fishing guide who will remain with you throughout your stay. 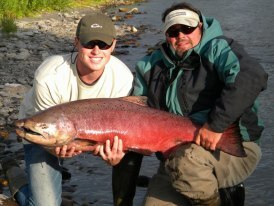 They focus on one guide per group unless your group is more than 4.Fishing these wild Alaska rivers offers the opportunity to experience nature at its best whether your method of fishing is fly fishing or spin fishing. 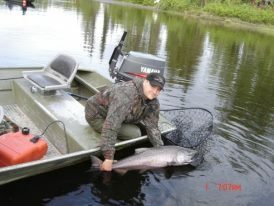 Fishing is done directly from Northwoods Lodge in their 20' custom built boats. 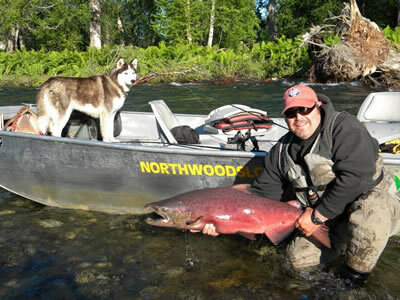 At Northwoods, you can catch Rainbow Trout, 5 - Pacific Salmon Species, Char, Grayling, and Northern Pike. 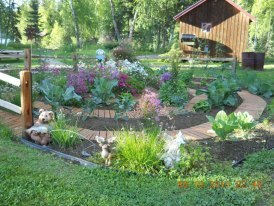 You can enjoy a beautiful view of Fish Lakes Creek from the individual guest cabins. 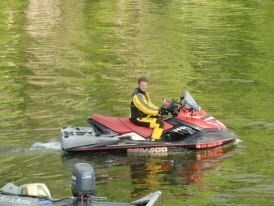 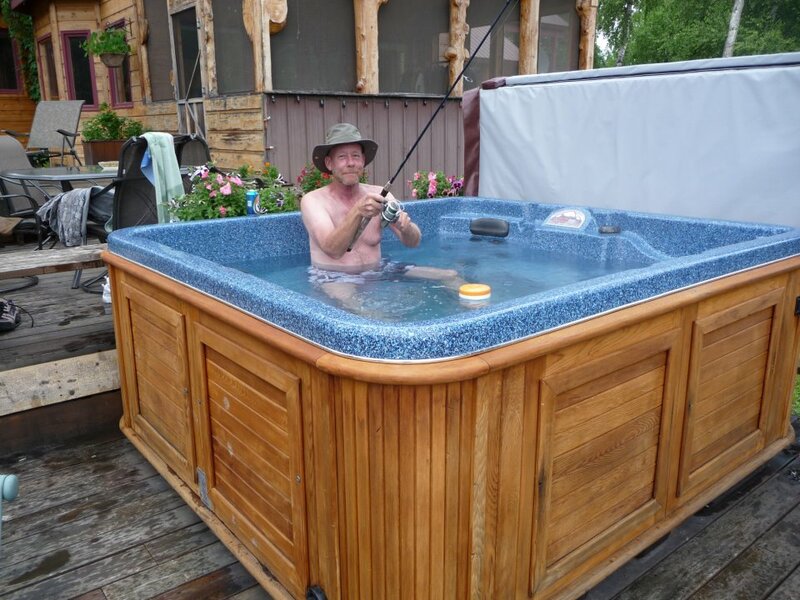 Three deluxe cabins with full bath or three standard cabins with a bathhouse close by are available. 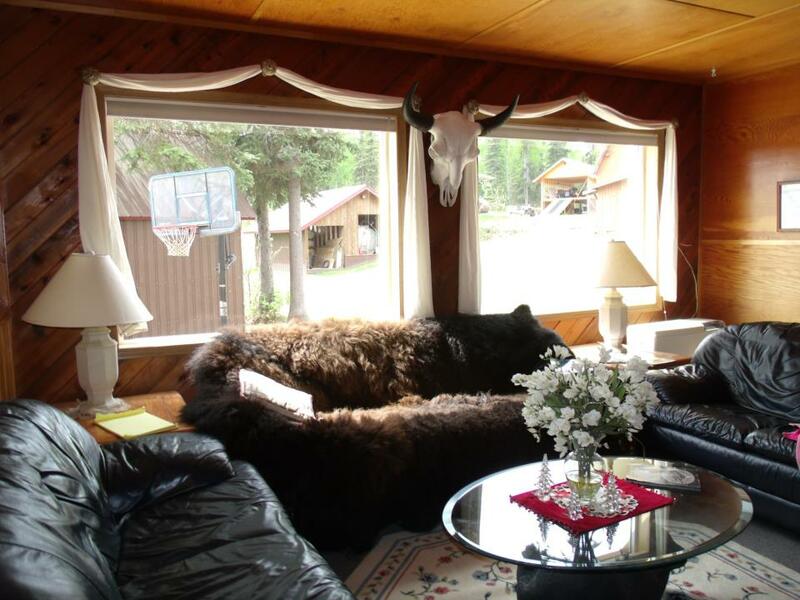 The screened-in porch and large spacious deck overlooking Fish Lakes Creek are an excellent place for relaxing after a day of fishing and adventure. 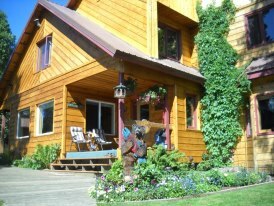 All of the cabins are heated with oil fired heaters and decorated with local art work delivering a restful, relaxing atmosphere. 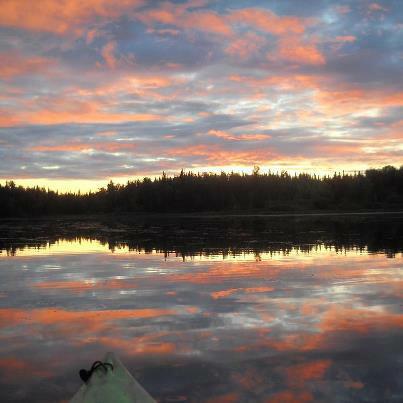 Northwoods Lodge's accommodations offer all the luxuries of home with the amenities of a first rate hotel, and there are laundry facilities for your use. 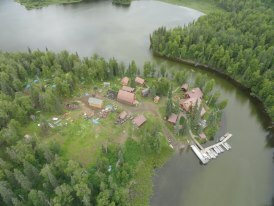 A large spacious dining room with native birch wainscoting and two lounge areas provide a comfortable place to visit and share stories after a day of fishing. 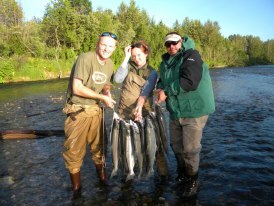 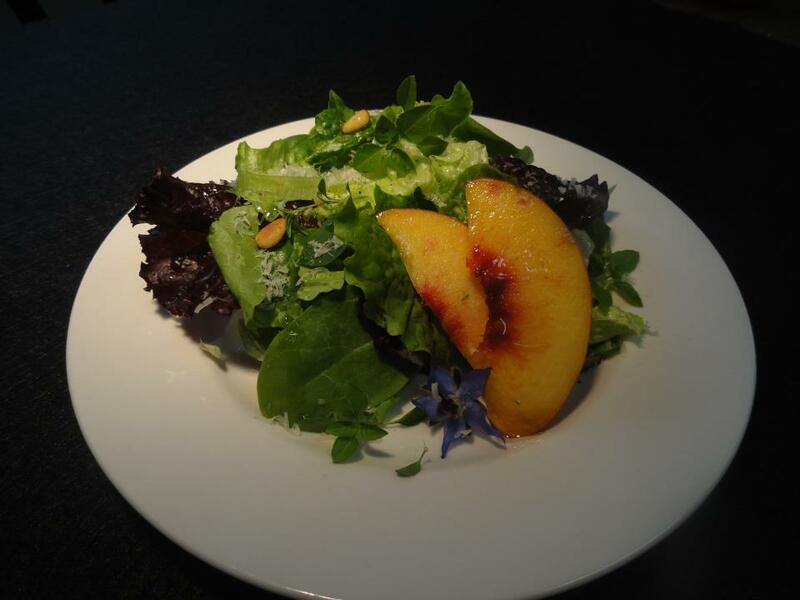 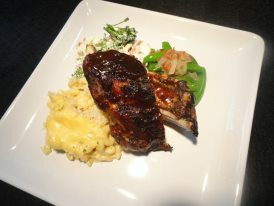 Hearty buffet style gourmet meals are served to compliment your Alaska Fishing Lodge experience. 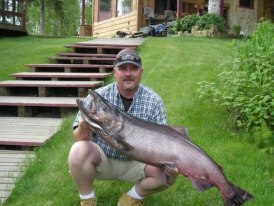 You can look forward to dining on fresh Lake Creek salmon, Alaskan Halibut, Rib Eye Steaks and delicious side dishes to satisfy hungry fisherman. 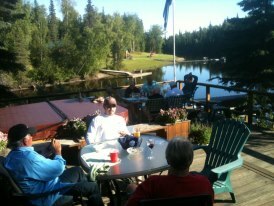 Enjoy a glass or two of wine, a beer or your favorite mixed drink out on our large deck overlooking Fish Lakes Creek before dinner.